Complete drive failure. Taken apart to have a look at, makes a loud scraping noise. Not recognised by the computer at all. I have been told it is complete drive failure and this would be the only way to recover the data. Is this something you can do and how much does this service cost? The drive is a Toshiba model and I am in Leytonstone, near Foxtons. 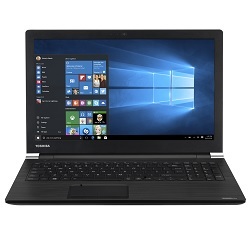 My wifes Toshiba MK2555GSX hard drive has stopped booting up in her laptop. I’ve removed it and tried booting it by the esata port on my laptop and it makes the same sounds as on datacent.com that indicates its a stuck spindle. Would you be able to give me quote for how much it would cost to recover the data from it? A member of staff brought in a Toshiba laptop that would not boot up. I tried everything and no matter what i did it would not boot so i figured the hard drive might be corrupt. I tried using Recuva, that sort of worked (showed loads of files) not one file appeared that was over 1 mb! How much will it cost for you to recover the data. I am trying to price up if the data is worth more than the cost of repair or not. Hard drive took a knock and now makes a whirring noise and doesn’t connect or show up on pc. I believe it is a western digital hard drive, 1tb. Would you be able to provide a quote for recovery? 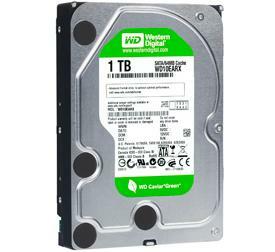 Hard drive has failed – 1Tb Western Digital SATA WD10EARX. Was fine yesterday – Windows10 64bit – used for data – not the prime drive. On startup this morning did not appear on Explorer. Definitely spinning, possibly some faint clicks, but pretty quiet. Tried it in a Linux PC and wasn’t found there either. We live near Carnforth. A Cruzer SSD drive, either 16GB or 32GB capacity, has stopped working. When plugged in in any port, and any computer, nothing happens. The flash drive has an LED which now no longer lights up, and the computer makes no acknowledgement of its presence when plugged in. Recently, the computer I use most often has insisted that there are problems with the drive, but when I have told it to scan and fix these, it tells me there are none. It has also suggested that I must format the drive before use, but this was also inconsistent, and removing and returning the drive allowed me to use it without problems. Although you do not advertise data recovery from flash drives, I sincerely hope you are able to help, as this one contained various important files, some of which have no backups. I’m unsure whether this is a problem with the hard drive or is something that has been caused by the Windows 10 upgrade. If more symptoms of the failure can be provided. 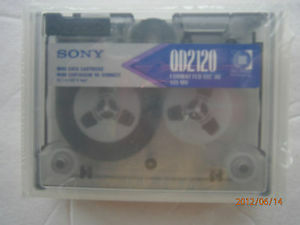 I have 36 x Sony QD2120 Mini Data Cartridges formatted in QIC 80 (120Mb). The data is scientific images and possibly associated files in various IBM PC-readable formats (proprietary). We would like to send them to you for conversion to modern media. I am a little less sure on the original hardware/software used but possibly a Colorado drive . Apart from age of the tapes there is no reason to believe any corruption has occurred. My WD external hard drive stopped working. When I connect it to a laptop I get a message that it needs to be formatted before use. There is blinking and no distinct noises. I have around 10GB of data, including photos, video and audio files. What would be the time frame and the costs of data recovery? IT colleagues at work ran basic scan and their software detected a lot of data but could not recover it. The hard drive is most likely to have bad sectors – areas of the hard drive that have become no longer readable. Otherwise known as “degraded media” it is caused by the magnetic signal that is stored on the hard drive degrading to such an extent that the computer can no longer recognise the signal it reads. It’s a scenario many of us are familiar with. We attempt to access some data only for the hard drive to crash. Perhaps the drive has emitted a strange noise, or perhaps we’re faced with the dreaded “blue screen of death”. Either way, we are faced with a situation of data loss that needs to be addressed. Usually the first emotion we experience is one of panic. What should we do? Switch the machine off and hope that by switching it back on the problem will resolve itself? Leave it to cool down and hope that in half an hour it will be OK to switch it back on? Try and find a software utility that will enable access to the data? Google the problem you have experienced and see if you can find a solution on the web? Take the hard drive out, open it and see if you can see a problem? 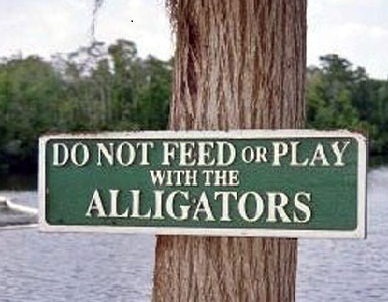 We’re starting with the hardest rule first! Whether someone has lost their wedding video, or the company accounts for the last five years, the initial reaction is to panic. It is important to try and stay calm; the fact is that in the majority of data loss cases, it is possible to fully or at least partly reconstruct the data. Panicking will only lead to poor decisions being made. This is for the simple reason that if the device does not have power running to it, no further damage can occur to the data. Restarting a device with a malfunction is likely to compound the original data loss. This is particularly true if the read-write heads of the drive (an “arm” that hovers above the platters inside the disk) has crashed into the disks. Doing this can overwrite some of the data that you have lost, possibly rendering it unrecoverable. The internal mechanisms of hard drives are very delicate and extremely sensitive to motes of dust, temperature changes and air currents. In addition, if you open a drive you will almost certainly invalidate the manufacturer’s warranty. Data on disks sent in to data recovery companies that have been opened in someone’s house have often been rendered unrecoverable by this action. Disks should only be opened in a certified clean room. Certain proprietorial tools often do more harm than good, especially if the file system is damaged. This is because they are trying to communicate with the disk through the language of the operating system (eg. Windows), which relies on trying to access the data that may be already damaged. 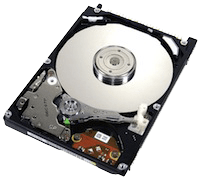 Reputable data recovery companies use specialist hardware which bypasses the operating system and interacts with the disk by using the disk’s own command structure. Do an internet search (on another computer) to find a data recovery company. 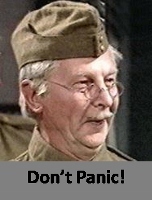 It is advisable to ring several, and to bear in mind that the cheapest may not be the best choice. For example, companies that do not charge a diagnosis fee are liable to either put very little effort into diagnosing the problem, or to put hidden costs in the recovery fee. To ensure you are choosing the right company, ask a lot of questions to try and get a feel for their level of technical knowledge. When portable laptop (2.5 inch) external hard drives came out about 6 or 7 years ago, I was very kindly sent a complimentary one by Seagate. These first generation Seagate portable drives used a double USB connection as a single USB connection didn’t provide enough power for the drive. I didn’t appreciate that not having the double USB into single USB cable was going to be a big issue but it was. Plugging the drive in with just a single cable resulted in the drive starting to spin but it wouldn’t been detected by the computer for about 15 minutes or so, and during this time the computer constantly kept picking it up and then losing it. This resulted in several worrying errors – particularly when it was connected to my Mac. On one occasion the drive was not detected by either my Mac or any windows machine, there was about 300GB of family data on the drive and I began to panic – what if I’d lost the data? With the advice of the friendly staff at Datlabs, http://www.datlabs.co.uk/, I was able to recover the data from my hard drive, a fortunate outcome for which I am very thankful. The solution was to remove the ST9500325AS from it’s external case and use it directly as a slave drive. Removing the case meant that I not longer had to connect the drive using the USB cable – instead I could plug the drive in directly using it’s SATA ports. This solved both the power problem and the speed increased significantly too as the USB connection was a slow one. 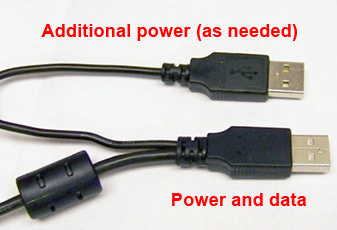 So if you find yourself using an old external Seagate portable hard drive and you don’t have the double to single USB cable to power it, take it out of it’s case a plug it directly into your computer using the SATA connections – it’ll work a lot better and quicker too. What Is the $MFT ? After a format operation, some important system information will be introduced to the hard drive. This system information is called metadata file. They are not accessible by the users. Each filename of these system information starts with a “$”, indicating that it is a hidden and protected file. In NTFS file system, there are 16 metadata files. In this section, we will introduce the first metadata file of $MFT. The other 15 metadata files will be introduced in latter sections. All the system data and user data are treated as files stored in NTFS partition. $MFT metadata file is the most important system management file, which consists of all the MFT file records of each file (system data and user data) on the partition. The MFT file record is the place where stores the filename, the file creation date and time, file data location, etc. The operating system retrieves the file content and associated file information mainly from the MFT file record. The size of the $MFT will depend on the total number of files stored on the partition. When the $MFT first created during the format operation, the Windows OS will reserve a certain amount of space for this file. The reserved size can be 12.5%, 25%, 37.5% or 50% of the partition. Another reason to reserve the space is to avoid the $MFT getting fragmented. The first 16 MFT file records in the $MFT are the 16 system information metadata files. The first MFT file record records the file information of the $MFT metadata file itself. Due to its importance of the $MFT, the system creates a copy of the $MFT and stores it in a file of $MFTMirr. But it is not a complete clone of the $MFT, it only holds the first four MFT file records of the $MFT. The second MFT file record reflects the $MFTMirr. The DBR sector of the NTFS file system is always located at the first sector of the partition. But the location of the $MFT is determined by the operating system. It is also specified by the content at offset 0x30 to 0x37 of the DBR sector. In Fig- ure 3.1, it indicates that the $MFT is located at cluster 0xC00000 (cluster 786,432). The $MFTMirr is indicated by the content at offset 0x38-0x3F. It is 0x84C403A3 (cluster 61,048,004) in Figure 3.1. The first cluster number of the $MFT is a very important parameter which can be used to work out the configuration of a RAID system. It will be introduced in the chapter of RAID in this book. Can You Remember Your First Hard Drive? I can’t not really… It’s a long time ago and at the time I was working for a large computer firm in the UK. It would have been around 1990 ish, may be even 1989, and my job was IT support. PC’s in businesses were quite a new thing back then and as I had just graduated from college and knew comparatively a lot about PC’s I got the job of supporting them. Now, how big were hard drives in 1990? Without researching it I can’t remember but their capacities were certainly in the Megabytes, and the low megabytes at that… 10Mb maybe? A couple of years later I remember that Windows 3 had just come out and after it had been installed there wasn’t any room on people hard drives to load anything else like WordPerfect, which was the de-facto wordprocessor of the time. One thing for certain is that hard drives in 1990 didn’t really look like they do today – the only similarity is the metal box shape. Most hard drives had either SCSI and PATA interfaces too. 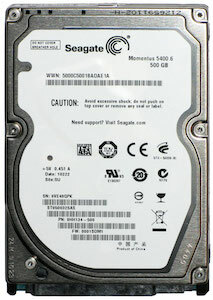 The modern SATA interface that we see today didn’t come along until much later – about 2009.